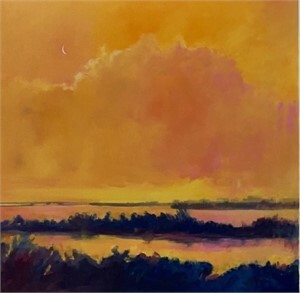 Nikki Sedacca Gallery is pleased to present nationally acclaimed artist Linda Richichi’s newest body of work in a solo exhibition: Escape to the Vineyard. 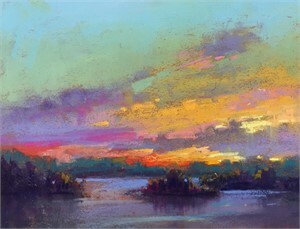 The opening reception will take place on Friday, June 29th from 5-8PM, and the exhibition will run through July 16th. 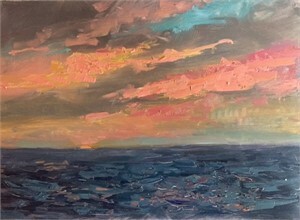 Martha’s Vineyard landscapes and sometimes surprising colors found in the sky and water inspire this current body of work. 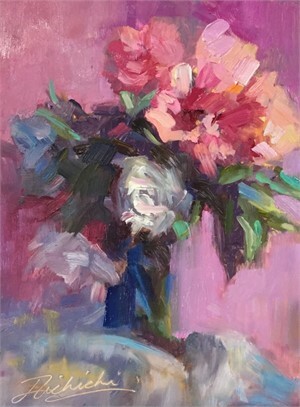 Additionally, Richichi will be offering a painting demonstration in the courtyard behind Nikki Sedacca Gallery in the heart of Nevin Square on Thursday, June 28th at 3PM. 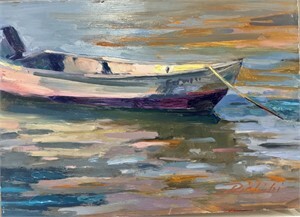 Richichi received her Bachelor’s Degree in Fine Art from SUNY in 1994 and discovered her passion for “plein-air” painting by 2001. 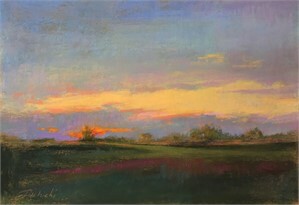 By painting on sight and in the moment, each brush mark holds true energy, creating a landscape that is pure and calm. Oil paint glides from Richichi’s brush to canvas or panel in an energetic and seemingly spontaneous manner, yet the intuitive calculation of each each stroke is unmistakable. In Aquinnah Light, crisp spring air dissipates into a warm summer breeze. Richichi carefully creates a balanced composition and captures the iconic Aquinnah Lighthouse, transporting the viewer serenely into an idyllic scene. 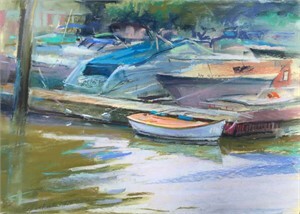 Richichi is a current member of the Oil Painters of America and a signature member of the California Plein Air Painters, NY and International Plein Air Painters. 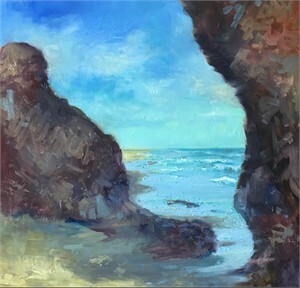 Notably, in 2012, Richichi was voted as National Best Intuitive Artist from About.com (then a NY Times company). 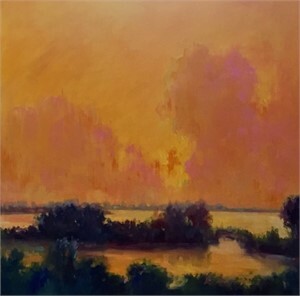 In addition to oil painting, Richichi has received considerable attention for her work in pastel, including exhibiting at the prestigious National Arts Club in New York City with the Pastel Society of America. In Spring Garden, Richichi captures sunlight gleaming across an aromatic flower garden and a timeless red bard, creating landscape thriving without explicitly depicting its inhabitants. Richichi’s work embodies the essence of landscape and illuminates the romantic notion of comfort by Mother Nature. 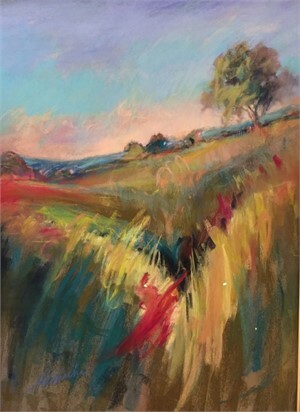 Click here to read about this exhibtion in Fine Art Connoisseur Press Release: Nikki Sedacca Gallery is pleased to present nationally acclaimed artist Linda Richichi’s newest body of work in a solo exhibition: Escape to the Vineyard. 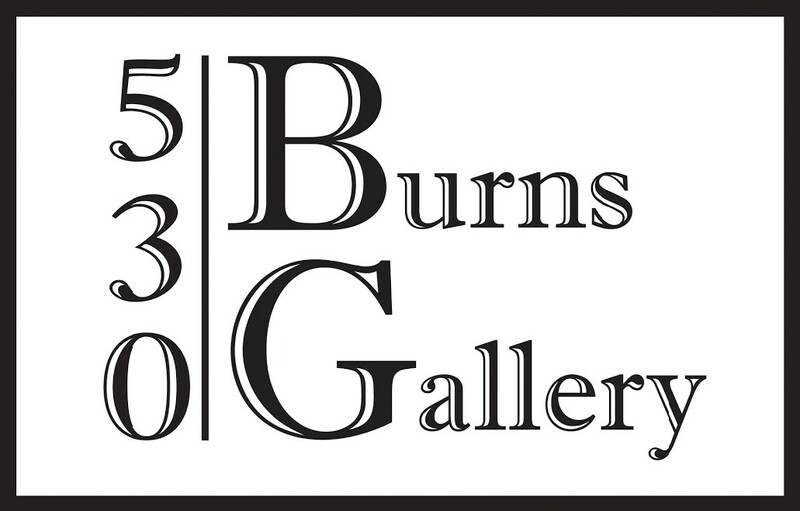 The opening reception will take place on Friday, June 29th from 5-8PM, and the exhibition will run through July 16th. 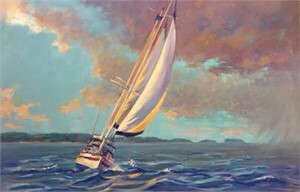 Martha’s Vineyard landscapes and sometimes surprising colors found in the sky and water inspire this current body of work. 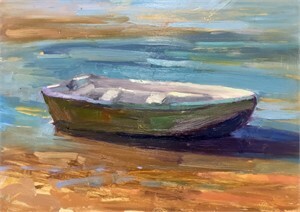 Additionally, Richichi will be offering a painting demonstration in the courtyard behind Nikki Sedacca Gallery in the heart of Nevin Square on Thursday, June 28th at 3PM. 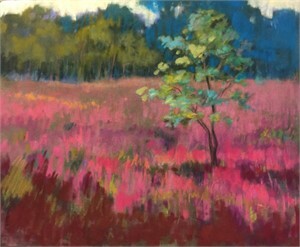 Richichi received her Bachelor’s Degree in Fine Art from SUNY in 1994 and discovered her passion for “plein-air” painting by 2001. 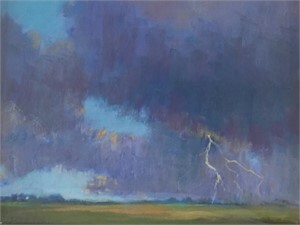 By painting on sight and in the moment, each brush mark holds true energy, creating a landscape that is pure and calm. Oil paint glides from Richichi’s brush to canvas or panel in an energetic and seemingly spontaneous manner, yet the intuitive calculation of each each stroke is unmistakable. 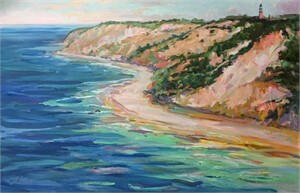 In Aquinnah Light, crisp spring air dissipates into a warm summer breeze. Richichi carefully creates a balanced composition and captures the iconic Aquinnah Lighthouse, transporting the viewer serenely into an idyllic scene. 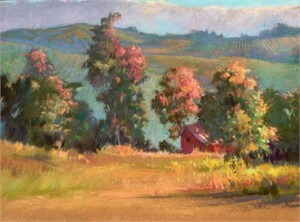 Richichi is a current member of the Oil Painters of America and a signature member of the California Plein Air Painters, NY and International Plein Air Painters. 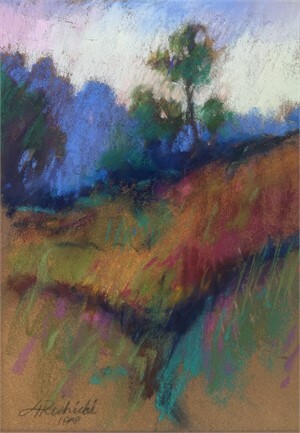 Notably, in 2012, Richichi was voted as National Best Intuitive Artist from About.com (then a NY Times company). 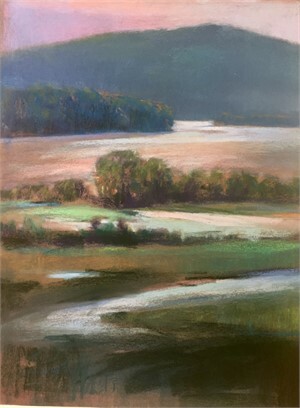 In addition to oil painting, Richichi has received considerable attention for her work in pastel, including exhibiting at the prestigious National Arts Club in New York City with the Pastel Society of America. 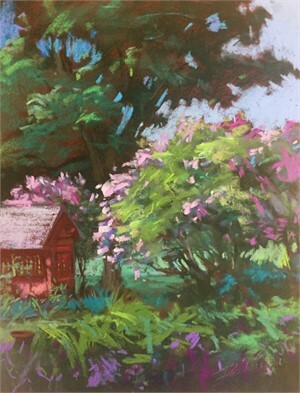 In Spring Garden, Richichi captures sunlight gleaming across an aromatic flower garden and a timeless red bard, creating landscape thriving without explicitly depicting its inhabitants. Richichi’s work embodies the essence of landscape and illuminates the romantic notion of comfort by Mother Nature.